Fluoride helps prevent tooth decay by making the teeth more resistant to acid attacks from bacteria-laden plaque that builds up on the teeth each day. Flossing daily and brushing your teeth at least twice a day are necessary habits that must be taken seriously in order to keep your mouth as healthy as possible. Visiting the dentist on a regular basis for examination and a thorough cleaning is also imperative for your mouth to be at its healthiest. Yet, there is another component that is essential to optimal oral health – it is known as fluoride. Most modern water systems have fluoridated water in order to prevent dental caries. Most toothpastes also contain fluoride in order to successfully prevent cavities and gum disease. Both are considered necessary to maintain the healthiest mouth possible between dental appointments. 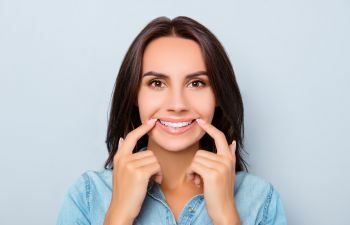 However, for those who are more prone to cavities and tooth decay, in-office fluoride treatments can be especially effective at protecting the oral health of patients of all ages. Professional fluoride treatments have been proven very effective for millions of dental patients. They are painless treatments done in a matter of minutes, yet their benefits last for months. If you would like more information regarding fluoride treatments and how they can benefit you and/or your family members, please contact Gold Hill Dentistry today.